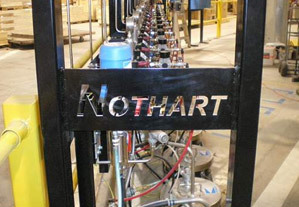 ﻿ Pumps | Finishing Systems | Boilers | Blowers | Fans | Exchangers | Lift Stations | Mixers | Used Equipment | Nothart Engineered Sales Ltd.
From time to time, due to circumstances beyond our circle of influence, we have parts or equipment on our shelves that are unusual or rare. Sometimes not so rare, just above our normal stock levels. This page is devoted to those items, and we hope you find what you re looking for. Please drop us a line if you need a hand sourcing other hard to find equipment.